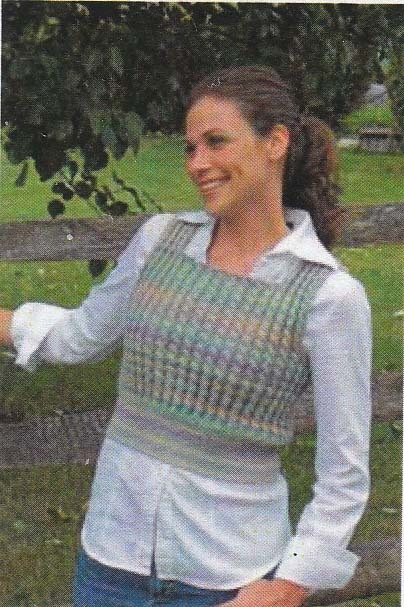 Cropped Cable Vest Pattern by Carole Wulster. Sample is knit in Jojoland Melody yarn in Color Y07, requires 5 (6, 7) balls for to fit chest sizes S 32-36 (M 36-42, L 44-48) inches. Use size US 1 and 2 (2.5 and 3 mm) 24 inch (600mm) circular needles.